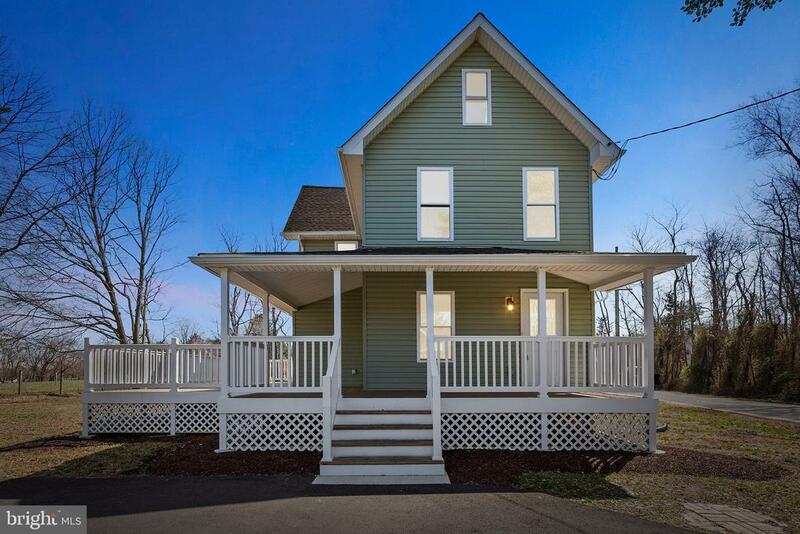 A rare colonial farmhouse home built in 1900, that recently underwent extensive renovations. The home is situated on an oversized lot, next to a peaceful and scenic farm. The curb appeal is unmatched, as it is the perfect balance of classic charm and modern finishes. Front and back driveways make for plenty of parking. The front porch that connects to the side deck, is the perfect warm weather hangout and flows into the open layout of the home through the large sliding doors. Enter into the home and be amazed by the attention to detail; functional layout, wide staircase, stainless appliances, upgraded floors, granite countertops, white shaker cabinets, walk-in pantry, large basement and attic space for storage. Upstairs are 3 large bedrooms and a brand new breathtaking "HGTV" style bathroom. The basement walks-out to the backyard which is perfect for the handy buyer to store tools without having to walk through the home. The location is incredibly convenient by car, while still has quiet streets and strong walkability. Just a short drive away to Berlin market, popular shopping, dining and nightlife destinations. Don~t miss out on this opportunity!